You know who never gets any glory? Sidekicks. Those faithful friends who are just as hard-working as the main character, but who don’t get any credit for their contributions. I’m here to speak up for them by highlighting 18 supporting actors and actresses who quietly appeared in every movie across 10 film series. They were so dedicated that many of them continued on past the point where most other cast members had come and gone and the films had descended into abysmal territory. I’m only including film franchises that ended on a down note, so you won’t see any of the actors from the first six Star Trek films or The Lord of the Rings included here. These people had to be in a series that crashed and burned. And, fittingly, we’ll start this list with the Airport films. 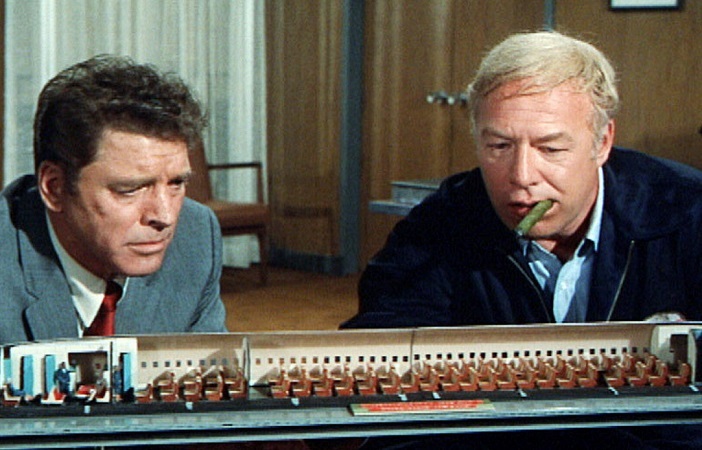 Good old George Kennedy. His character Joe Patroni starts as a maintenance worker in the first Airport film and works his way up to a full-fledged pilot by the fourth and final film. Patroni is to the Airport films what Wedge Antilles is to the original Star Wars trilogy. It’s fun to see a background character rise through the ranks and become respected because it gives the impression that there’s a lot going on behind the scenes between films. Kennedy had a great sense of humor about his long-running relationship with the Airport franchise. In fact, he was so disappointed that he didn’t get asked to poke fun at his role in 1980’s Airplane! that he begged the makers of that film to include him in a future project. That’s why he appeared as the police chief in the three Naked Gun films. It makes sense that the actors who play Alfred Pennyworth and Commissioner Gordon would be Batman’s faithful accomplices throughout the four Tim Burton/Joel Schumacher Batman films because that’s exactly what their characters would do. 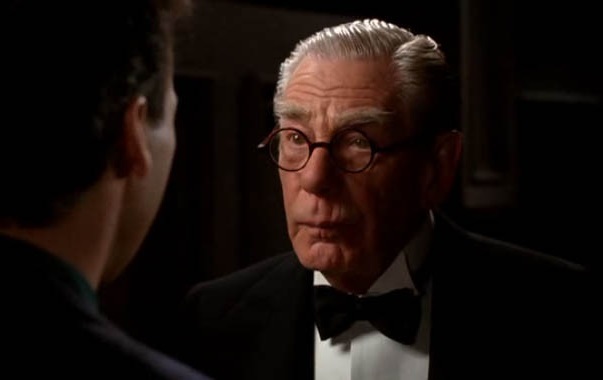 There’s something comforting about Michael Gough’s presence as Alfred in all four films while other actors change. And he’s by far the best thing about Batman and Robin. Unfortunately, Pat Hingle is criminally underused across all of the films and he loses all dignity in the final film. Judge Reinhold is amazing. He’s managed to be in more hit films (Stripes, Fast Times at Ridgemont High, Gremlins, Beverly Hills Cop, The Santa Clause, etc.) than truly great actors like Christopher Reeve or Paul Giamatti. Granted, he didn’t star in his biggest hits, but his smug face always managed to make an impression in whatever film he appeared in. 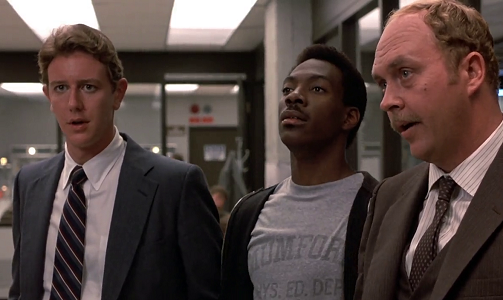 In Beverly Hills Cop and its first sequel, he generated a lot of laughs through his constant bickering with his older police partner played by John Ashton. Ashton was smart enough to steer clear of the trainwreck that is Beverly Hills Cop III, but Reinhold decided to come back and fly solo that time. Sadly, it was a lost cause. 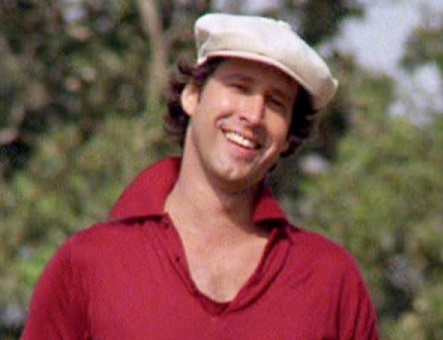 Speaking of lost causes, Caddyshack II is a strong contender for the worst sequel ever made. And the only cast member from the original who returned for the sequel was Chevy Chase. I really don’t have much to say about that. I’ve never been a huge fan of the Caddyshack films, but I understand why people love the first one and hate the second. Chevy Chase isn’t a big factor in people’s love and hate for those films, he’s just the one precarious line connecting them. Well, him and the silly gopher. 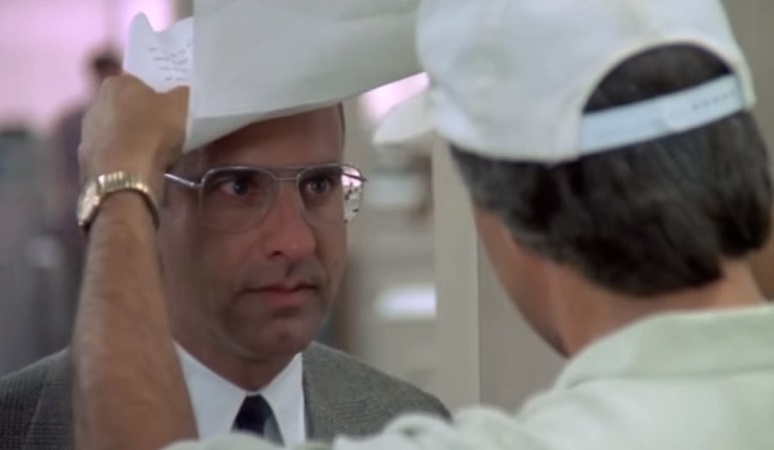 Fletch is one of Chevy Chase’s best films. But, alas, in its sequel Fletch Lives gone are supporting actors like Geena Davis, Joe Don Baker, and Kenneth Mars. The only two who stuck around were Richard Libertini as Fletch’s long-suffering editor and George Wyner as Fletch’s ex-wife’s insufferable lawyer. Their scenes with Fletch are funnier than most of the rest of the film, especially the final scene with Wyner, who is better known as Colonel Sandurz in Spaceballs. 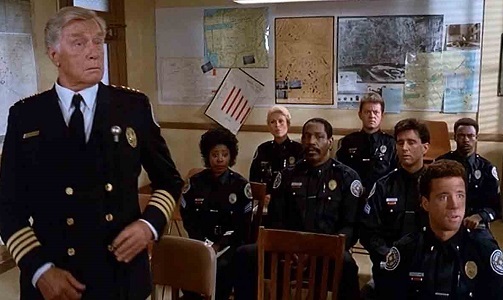 After Mahoney, Hightower, and most of the other original Police Academy characters quit the series somewhere over the span of 10 years and seven films, somehow Commandant Lassard, and Sergeants Tackleberry and Jones managed to make it to the very end. The series had lost all of its steam by the fourth film, so I’m amazed Police Academy: Mission to Moscow was even made. No amount of wacky sound effects or other tired comedy tropes from the series could save that final nail in the coffin. I’ve got to give credit to Nancy Allen and Robert DoQui. They’re like the entire Detroit police force in the RoboCop films – they’re taken for granted and not really developed deeply as characters. But they’re awesome nonetheless. And Felton Perry’s Johnson is the first film’s sole-surviving junior executive at OCP. He quickly rises to prominence and usually acts as the voice of reason in the corrupt conglomerate. I admit it is arguable that this series ended on a down note, but I’ll get to that in a moment. 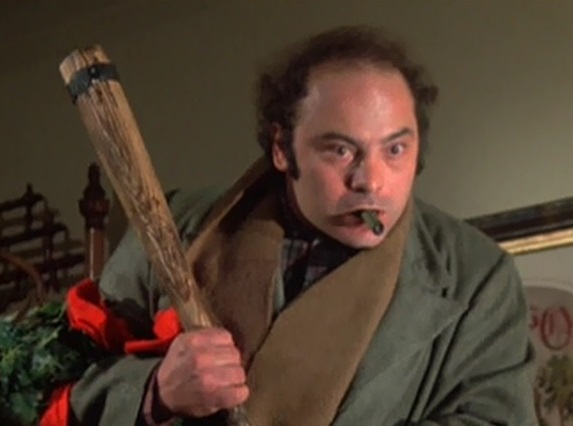 Burt Young plays Adrian’s abusive brother Paulie who devolves along with the Rocky series. He goes from a psychologically damaged individual to comic-relief buffoon in a couple of films. And he hits rock bottom along with the series in Rocky V. This is where the arguable part comes in. Because Paulie does redeem himself in Rocky Balboa and the series actually goes out on a bittersweet tone… and now it’s back in top form with Creed. Honestly, that movie feels more like a reboot than a sequel, so I’ll still stand by the fact that the Rocky series is over even if a Creed one is just beginning. 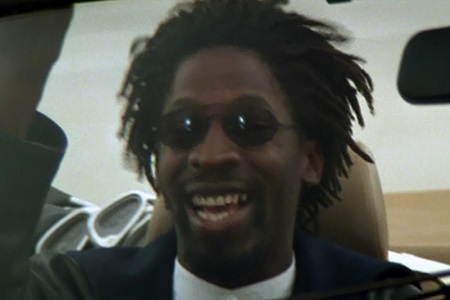 It might be stretching it a bit to call Glenn Plummer’s character Maurice a “sidekick.” But he does just happen to be in the wrong place at the wrong time in both of the Speed films. His car gets commandeered by Keanu Reeves in the first Speed film and his boat gets commandeered by the Keanu Reeves stand-in in Speed 2: Cruise Control. The first time was funny because he’s just a regular guy on his way to work, but by pulling the same trick again in the second film, it sank all credibility in an already-ludicrous film. 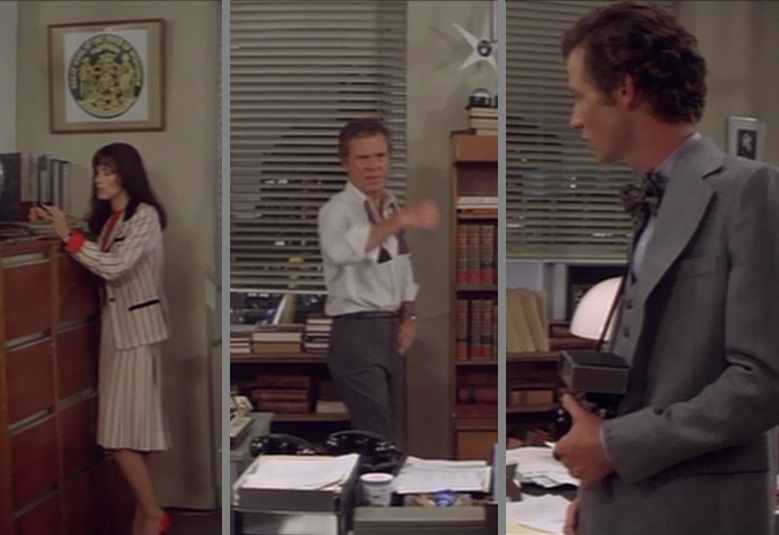 Like the three side characters in the RoboCop series, Lois Lane, Perry White, and Jimmy Olsen don’t get much character development across the four original Superman films. Richard Pryor’s Gus Gorman has more of a character arc than any of them. But that’s okay because they don’t need much depth. They’re simply there to play the requisite roles opposite Clark Kent and Superman, and the actors were as loyal to the series as their characters. It’s disappointing they didn’t do more with Lois’s character across the four films, but that’s a whole different discussion. I haven’t seen Lee Daniels’ The Butler, but I imagine many of these actors must have felt like that butler. Presidents came and went, but he stayed the same. Different main actors in Airport, Batman, Caddyshack, Police Academy, RoboCop, and Speed films appeared and disappeared, but those supporting actors stayed the same. Faithful to the bitter end. This entry was posted in Random Stuff and tagged actors, airport film, batman, beverly hills cop, caddyshack, comic books, films, fletch, movie franchise, movie review, movies, police academy, robocop, rocky, sequels, sidekicks, speed, superman. Bookmark the permalink. George Wyner was in the Fletch movies? I love George Wyner, but I can’t stand Chevy Chase. A dilemma, but a mild one. I just catch Mr. Wyner in other projects. I totally understand. While Chevy Chase is definitely more miss than hit in his roles, I find the Fletch character to be a perfect fit for him. He has just the right amount of misplaced self-confidence and bumbling slapstick comedy. But yeah, George Wyner effortlessly steals his scenes in the Fletch movies. Even though Pat Morita would be considered a main character and not a side character in The Karate Kid films, he still stayed with the series up to the (by then) tired 4th installment in their desperate attempt to keep the series going with a “new” twist. So true. I hadn’t thought of that. Boy, the first two films in the series are both great, which makes the last two sting all the more. Also you had the case where neither stars, Guttenberg or Badham alumni, Ally Sheedy returned for Short Circuit 2 which was not as good as the original but it got Fisher Stevens’ character promoted from supporting sidekick in the first one to the lead guy in 2. On a side note, I would also say the sequel suffered by not having such a catchy theme song like El Debarge did for the first film. You are so right. I love all of John Badham’s early work, from Saturday Night Fever to WarGames and Short Circuit. Short Circuit is one of those films that didn’t really need a sequel. Just like all of those films, actually. And they all got terrible sequels. Wow, that kind of bites. Speaking of bites, what did you think of Badham’s Dracula? For a long time it hadn’t occurred to me until someone pointed it out that in this version Frank Langella never sprouts any fangs which is so traditional for the character. He also had me convinced he was actually British because of how he played the role in the film only to find out later that he’s really a Jersey boy. I totally love John Williams’ score for the whole movie with The London Symphony Orchestra. If only JB and JW had collaborated on more stuff. To think of the kind of score he could have done with something like the chase scenes in Blue Thunder. It’s funny you should mention that because his 1979 Dracula is one of his few films I haven’t seen. The horror genre never appealed to me very much. I remember seeing brief glimpses of that film, and I got Frank Langella confused with Christopher Lee. Two totally different Draculas. To me, Talia Shire may be the ultimate 2nd man with both the “Godfather” and “Rocky” franchises. I would also like to mention Hugo Weaving with “The Matrix” and “The Lord of the Rings” or anything the Wachowski brothers put out. I of course am a major fan of The Godfathers 1 and 2 but Talia played the crazy daughter who went nuts in the 3rd and least favorite of mine. So true. Thank you for mentioning them. Talia Shire’s small role is still extremely important in all three Godfather films, and she always does amazing work. It feels like she’s in 2006’s Rocky Balboa because Rocky constantly talks to the Adrian stand-in girl like she’s Adrian. And yes, good old Hugo Weaving. He’s definitely persevered through the Hobbit trilogy and the disappointing Matrix sequels. 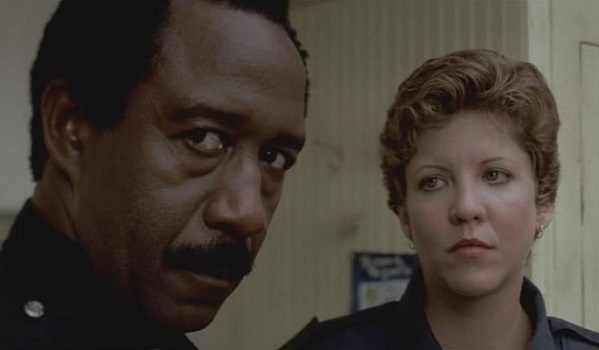 Not even Nancy Allen could stand the RoboCop franchise. She was killed in the first act of the movie. Margot Kidder was “kicked out” in “Superman 3” (you wrote about this in a text) and returned. Paulie is a survivor. Mickey dies in 3rd movie, Apollo Creed in the 4th, the dignity of the franchise in the 5th and Adrian before “Rocky Balboa”. Anyone who obfuscates Sly is kicked out.